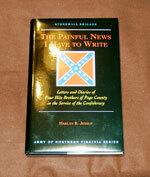 The Army of Northern Virginia Series began in 1995 with the publication of A Lieutenant of Cavalry in Lee’s Army. It is a select series of reprints and new publications. Two of the entries in the series have won awards. 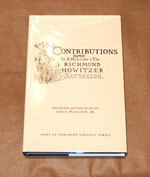 Both the above mentioned title and Contributions of the Richmond Howitzers have earned the prestigious General Basil W. Duke Award, presented by the Military Order of the Stars and Bars, for the best Confederate reprint. Subscribers to the series pay a $25.00 fee. In exchange, they receive advance notice of new publications in the series and can purchase them at pre-publication savings of at least 20%. New subscribers are always welcome, and anyone who joins may purchase any of the in-print titles at a 20% discount. Titles may also be purchased separately, at full cost, without joining the series. Notes: 249 pp., Dust Jacket, Maps, Illus. 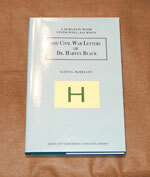 “Brief though it may be,...Dunaway does provide us with rare insight into the soldier’s experience in the Virginia Brigade of Charles Fields. Dunaway’s clear and concise descriptions of Fredericksburg and Chancellorsville result in like images in the mind of the reader. 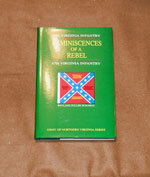 Especially worthy of note are Dunaway’s commentary on the battles of Frayser’ Farm and Falling Waters, the latter of which, from a rare Southern perspective.” Stephen L. Ritchie, Civil War News. 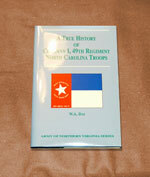 “...another splendid contribution to the library of regimental histories....this history outlines the fortunes of this regiment during three years of service from its time in the Army of the Valley until its surrender at Appomattox. As with any good regimental history it is personal, relating the experiences of individual soldiers with the large campaigns serving as a backdrop...” John Secondari, Civil War News. The 49th North Carolina saw action as part of Ransom’s Brigade. It fought at Malvern Hill, served in the North Carolina/southern Virginia region, and later participated in the 1864 siege of Petersburg. Good details on the Battle of the Crater. This is the story of a family from the Shenandoah Valley during the war. Three of the four boys died fighting in the Stonewall Brigade. The Richmond Howitzer Battalion consisted of three companies of artillery. Although they did not serve together, they maintained the battalion concept. All three units saw extensive action with the Army of Northern Virginia. 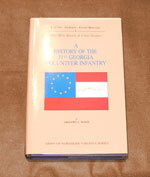 This reprint combines a collection of four pamphlets which first appeared under the auspices of the veterans of the units.